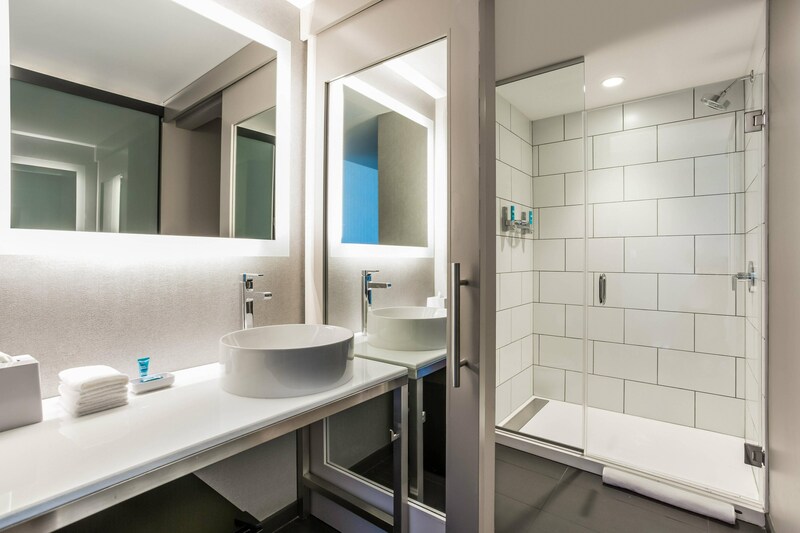 Our contemporary rooms offer smart design and perks like fast & free Wi-Fi access, Smart TVs, ergonomic workspaces, and The W&apos;s Bliss® Spa bath products. 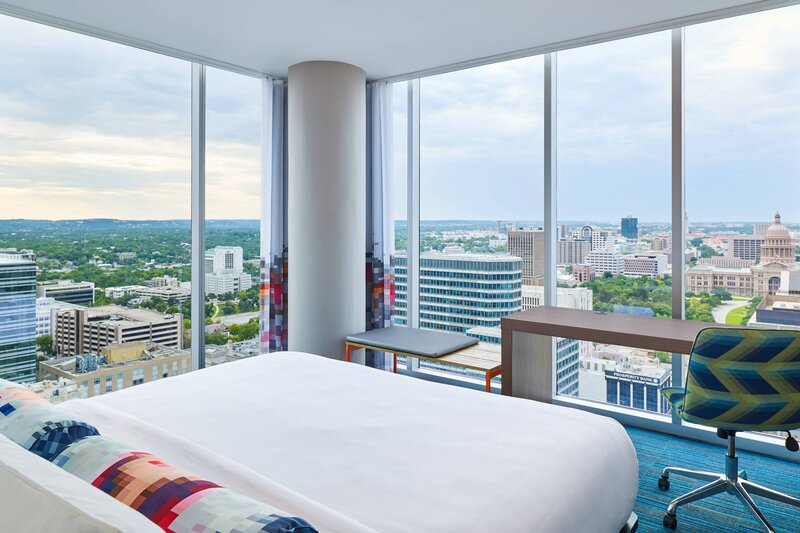 Many of our hotel accommodations also boast breathtaking views of downtown Austin from oversized windows. 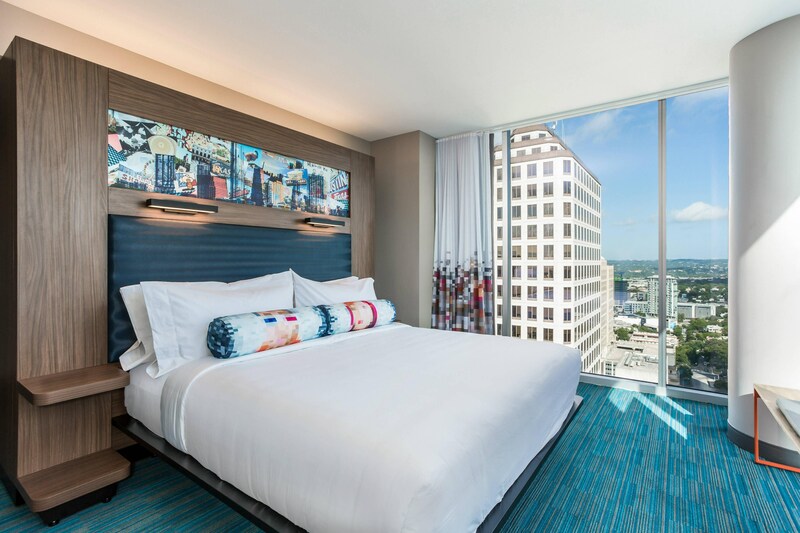 Experience spectacular views of the Capitol building or downtown Austin with our Corner Guest Room.